This stage is about to explode with major piggy power! 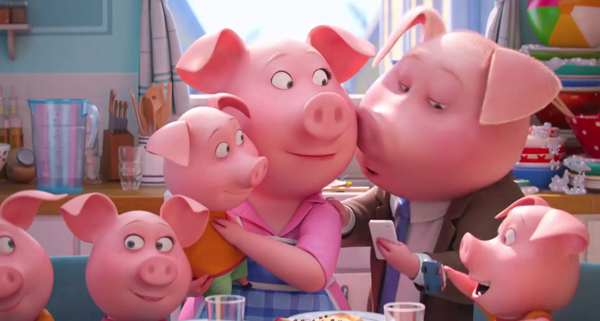 (SPOILERS) The movie that proved, after all the Despicable Minions and Secret Lives of Pets, that Illumination were unstoppable. They may not make animations that aspire to greatness (but then, after Monsters University and Cars 2 & 3, neither does Pixar any more), but they tap into a particular populism that puts DreamWorks firmly in its place. Sing is resolutely unfancy, with a back-of-a-matchbox plot, average animation and nothing remotely surprising up its sleeve, but it works. 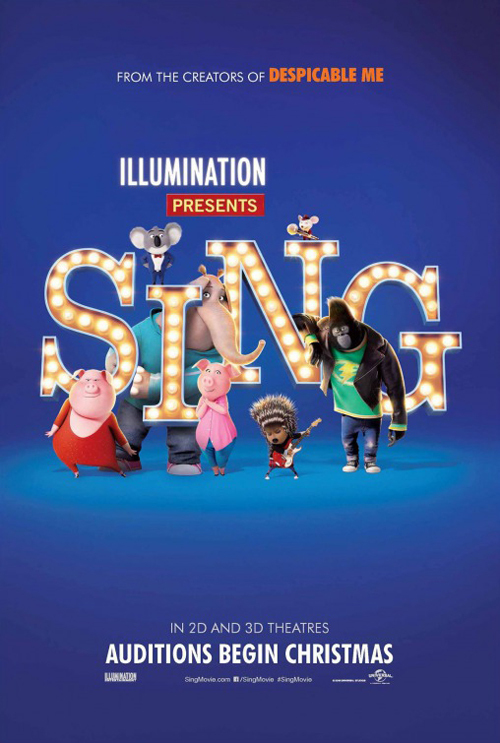 You might reasonably have assumed Sing was in a not dissimilarly sailed boat to The Angry Birds Movie and The Emoji Movie, coasting as it does on a reality TV talent show formula that has been in the descendant for half a decade. But that’s evidently not counting on the lure of cute animals offering variable takes on amateur song-and-dance acts. And they aren’t even that cute. Weirdly, Garth Jennings’ movie has overseen an anthropomorphic cast that are closer to bobbleheads than anything disarmingly appealing. But the succession of pop songs (amounting to 15% of the budget) hit all the expected and familiar notes (they even shoehorn Hallelujah in, a sure sign of creative bankruptcy), and the auditions in particular, represent a succession of mostly very amusing snapshots. 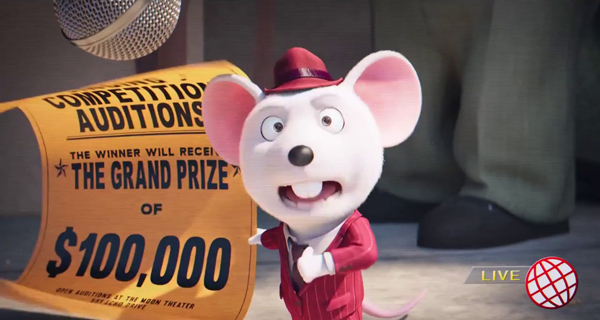 The voice artists are effective; Matthew McConaughey as theatre owner Buster Moon (a koala), Reese Witherspoon as housewife-with-a-dream Rosita (a porker), Seth MacFarlane proving – if there was any lingering doubt – that he’s only better when you can’t see him as an egotistical Sinatra-type (a mouse). Less successful are the biggest cliché-wallowing ones, the shy elephant (Tori Kelly) and born-on-the-wrong-side-of-the-gorilla-enclosure Johnny (Taron Egerton). Scarlett Johansson’s porcupine is simply forgettable. 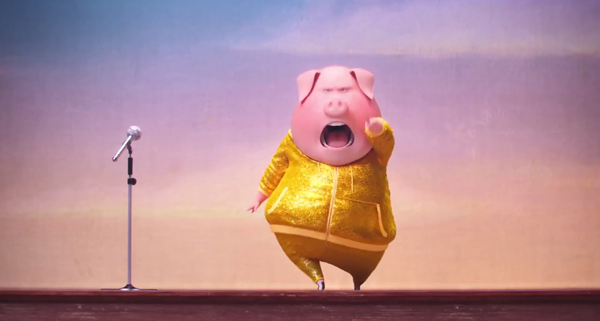 As is often the case in animations, the most enjoyable characters are on the wacky fringes; Nick Kroll’s dancing pig Gunter, with an accent to match his name; Jennings himself as an iguana whose eyes are never pointing in the same direction. He even gives a few lines to chums Adam Buxton and Edgar Wright. The third act show itself may follow the same predictable format as the rest of the movie, but it’s a winning formula, picking tracks such as I’m Still Standing and, naturally, My Way. It’s difficult not to be carried along with the careless enthusiasm. It may seem odd to label an animation ramshackle (unless the Weinsteins are releasing it), but the description rather suits Jennings’ movie. 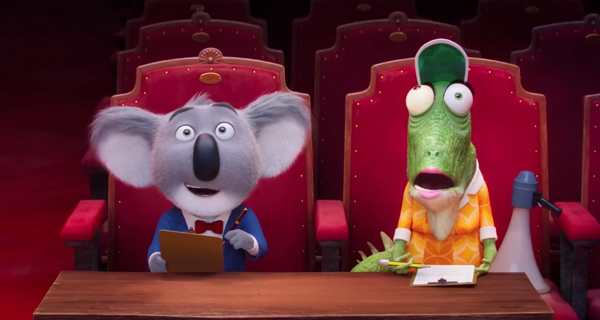 Sing displays a personal touch despite its rather impersonal subject matter. I’d suggest the sequel would be an altogether more showboating affair, but then Illumination do so like to keep their budgets down.